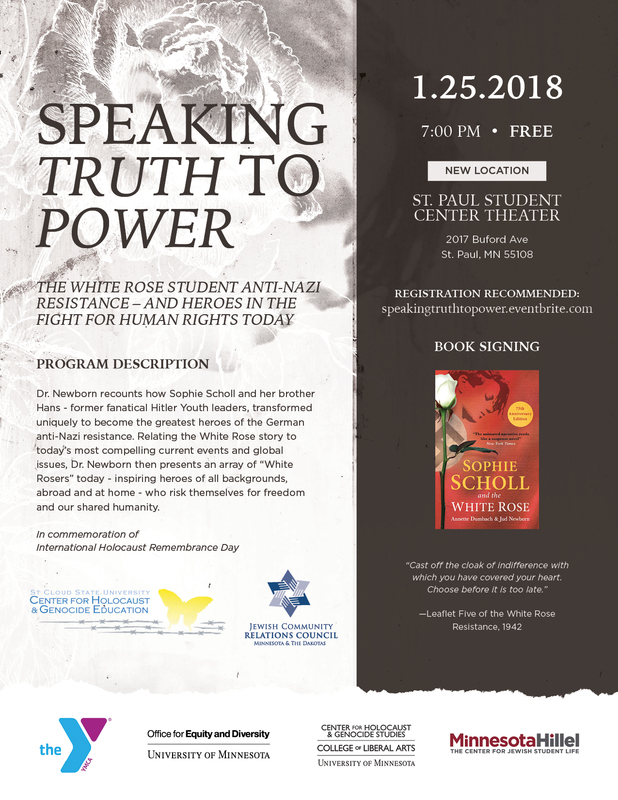 Dr. Jud Newborn recounts how Sophie Scholl and her brother Hans - former fanatical Hitler Youth leaders, transformed uniquely to become the greatest heroes of the German anti-Nazi resistance. Relating the White Rose story to today’s most compelling current events and global issues, Dr. Newborn then presents an array of “White Rosers” today - inspiring heroes of all backgrounds, abroad and at home - who risk themselves for freedom and our shared humanity. "Perspectives" stories are the views and opinions of their authors and do not necessarily reflect any official position of the University of Minnesota.